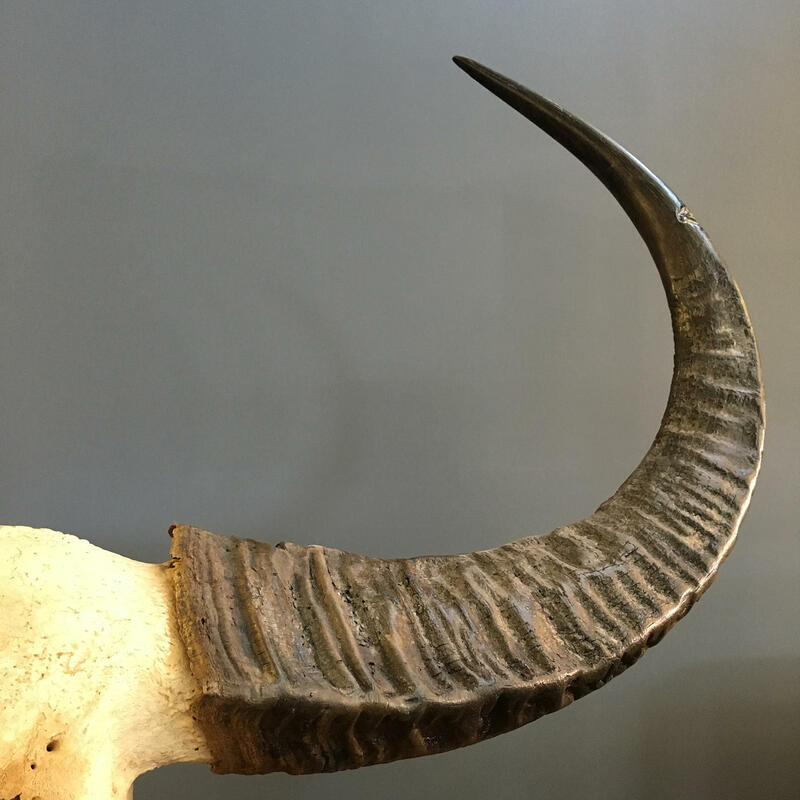 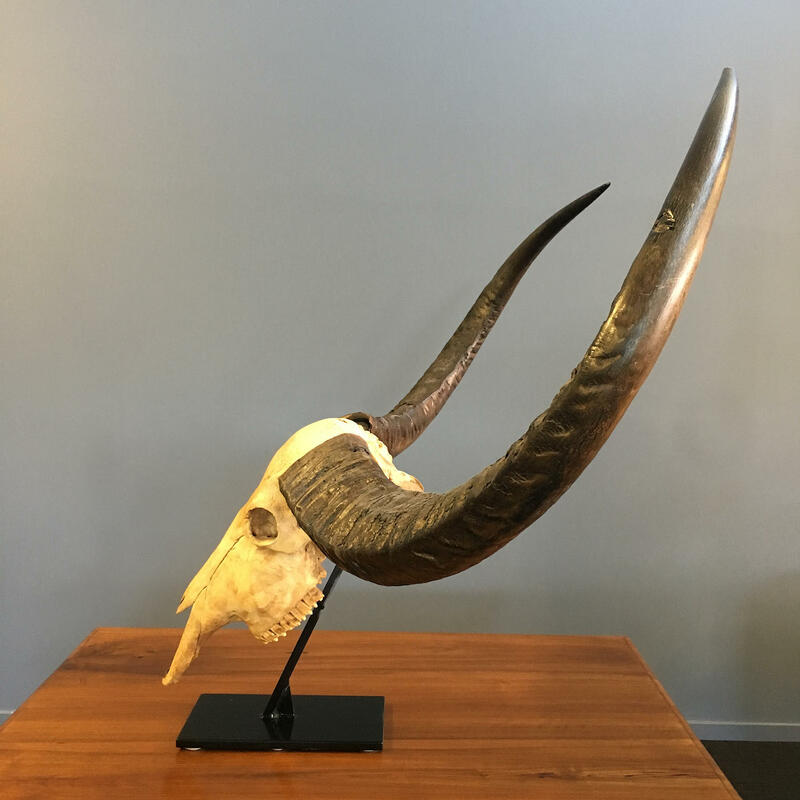 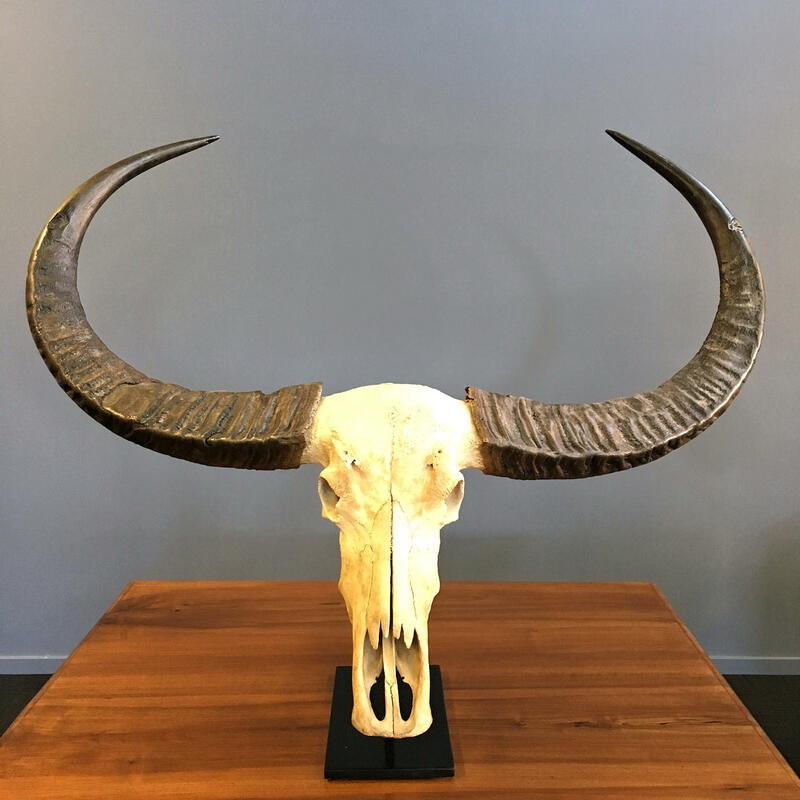 Massive in size this wild water buffalo skull has been mounted and is now ready for display. 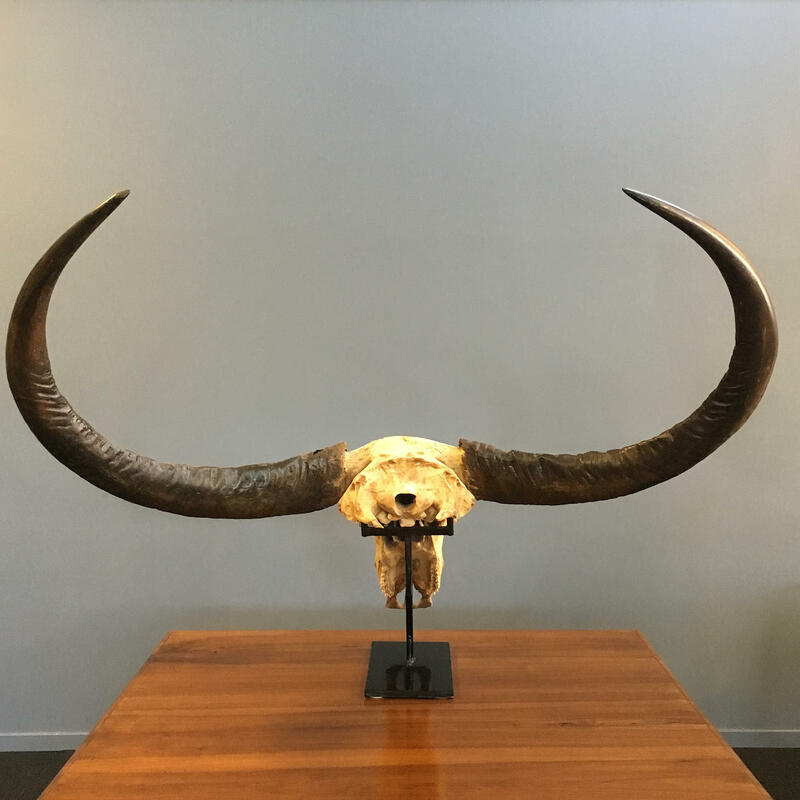 The horns are quite large and it has been estimated that the animal was around 70 years old. 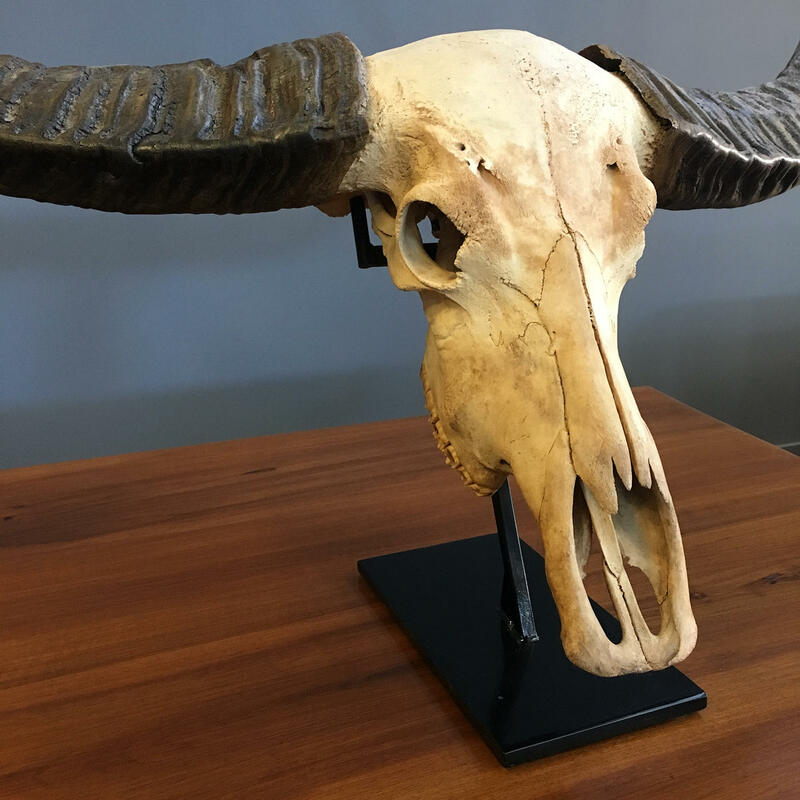 Skull 56cm Long, Top of horns 113cm and width of the horns 144cm.